How often do you wonder about your very own parallel universe? Do you let your mind wander to other possible lives you could be living? It starts off with; “In another life I could be…” and ends with your imagination taking you somewhere you’ve often dreamed of being. Lately I’ve been daydreaming about cooking school. The Sharper Your Knife the Less You Cry is to blame. I wonder how differently I would have lived if I’d been professionally trained as a chef. Then I snap back to reality and feel grateful to have the drive to keep learning through jittery cooking. Professional or not, this dish would set you back a pretty penny if you were to order it in a fancy restaurant. Heat oil in a medium-sized pot over medium-high heat. Add onion and cook until softened. Add garlic and rosemary, stirring for 1 minute. Add barley, mixing well. 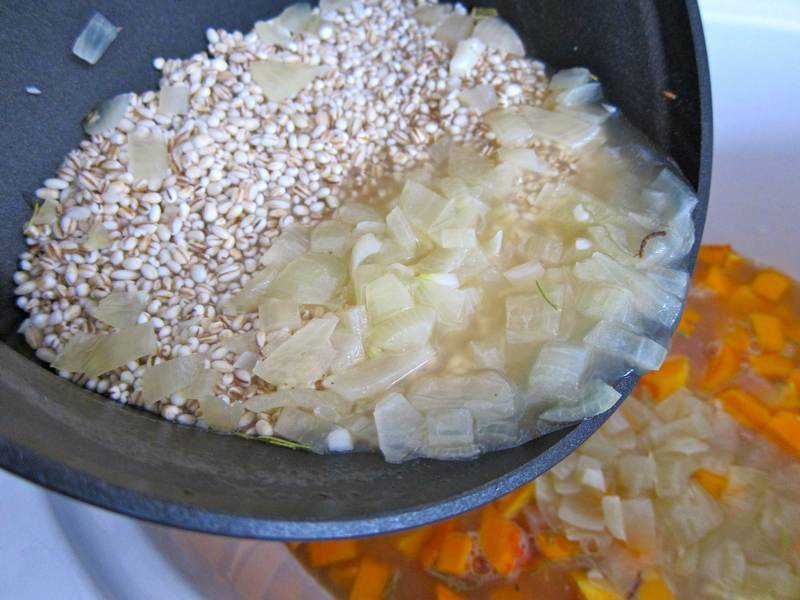 Add stock and bring to a boil. 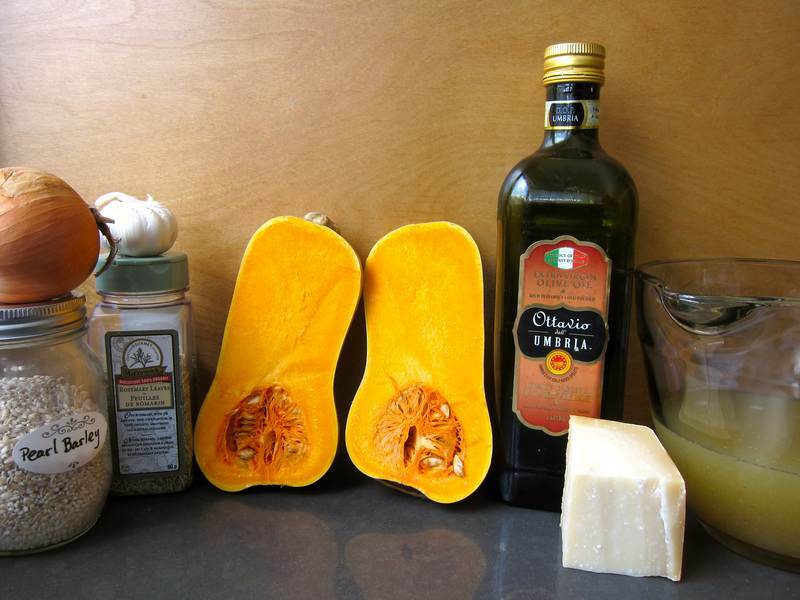 Place squash in a slow cooker or Dutch oven. 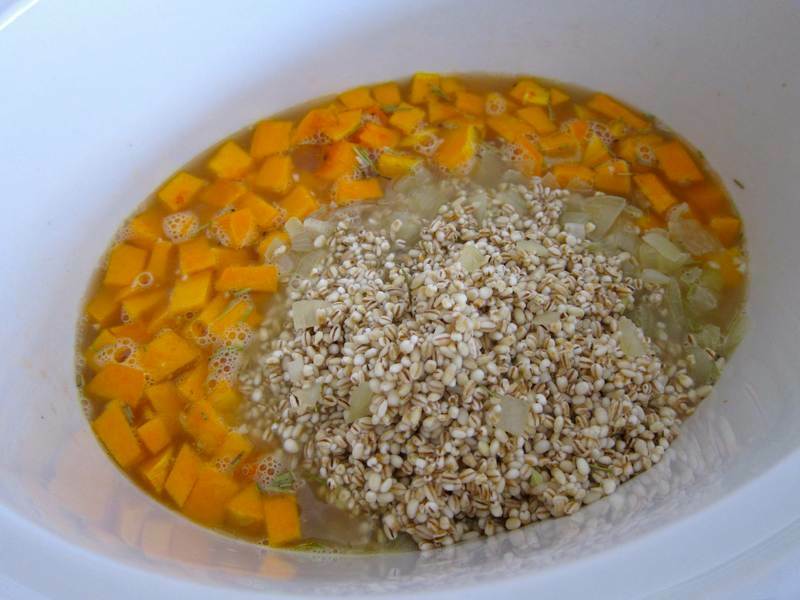 Pour barley mixture over the squash, and mix well. Cover and cook for 4 hours until everything is fork tender. Stir in parmesan just before serving. Serves 8. 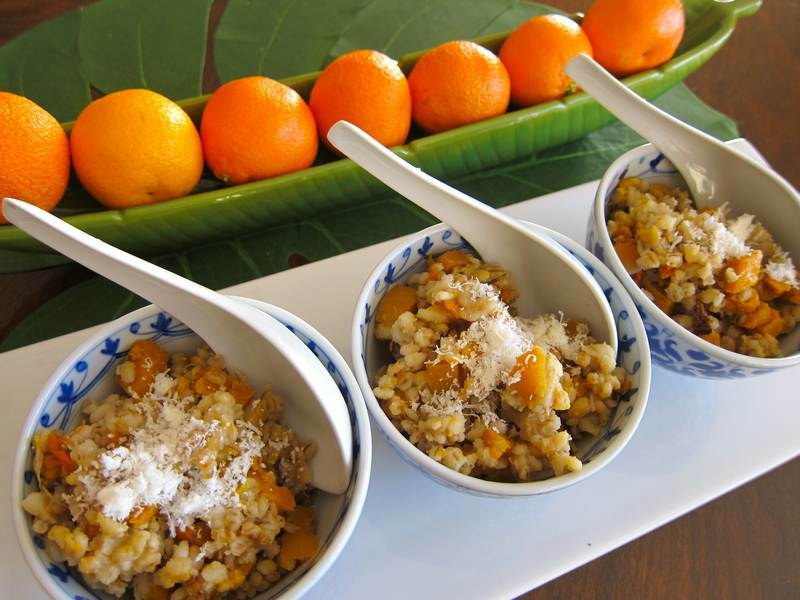 This very healthy Butternut Squash Barley Risotto is an old favorite and hails from the sweet potato version in Judith Finlayson‘s Slow Cooker Recipes. 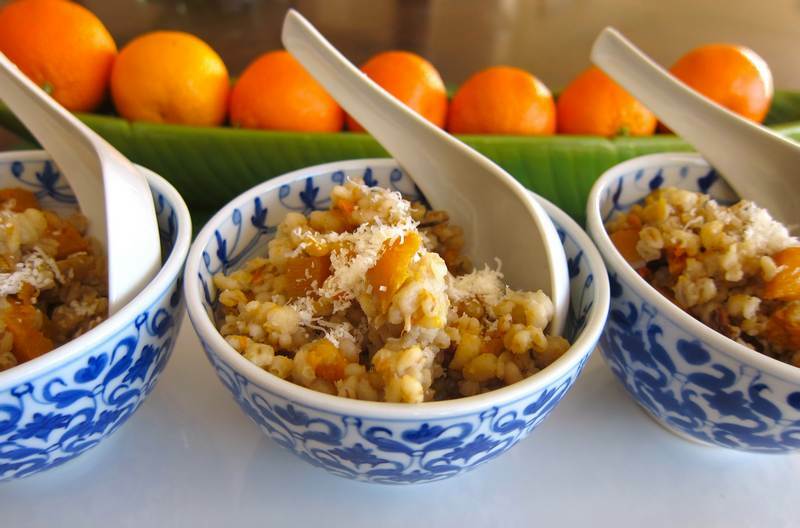 I love barley’s texture but haven’t tried it risotto-style. It looks great! Thanks Emmy! You can try it with squash or sweet potato. I’m growing to like barley more and more. Good point! I love farro. I love your photos! They’re so fresh. Thanks Kim! It’s a fun challenge to get the photos looking as good as the food.